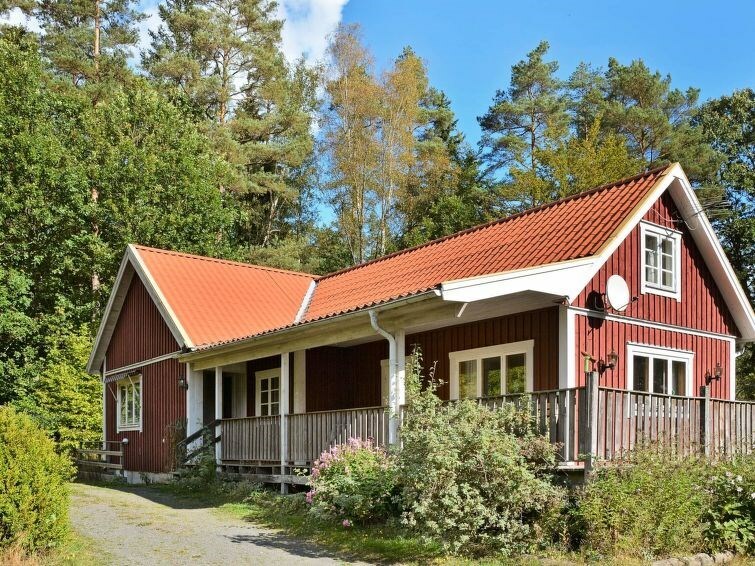 From this pleasant holiday home you can admire the view of the Kälkensjön, where you can take a swim or take a trip with the boat which is docked next to the lake. The holiday home is only 50m away from the wonderful lake and is located in the beautiful area of Belganet. This spacious holiday home has a nice furnishing. There is a fireplace where you can warm yourselves during the chilly nights and in the garden outside there are plenty of room for the children to have fun, from the patio you will have a beautiful view over the lake. Next to the water there is a private bridge with a bathing ladder, there are also a place where you can purge the fish. If you go north you will arrive in the south of Småland where you can visit the glasswork, and if you go south will you find the long sandy beaches in the archipelago of Blekinge. There are several lakes in the area, many of them are really beautiful. 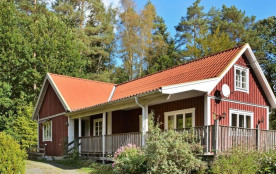 The holiday home is located in the nature reserve of Hästhullen. There is opportunity to ride on Icelandic houses in the area. Ronneby kommun - 6 pers.